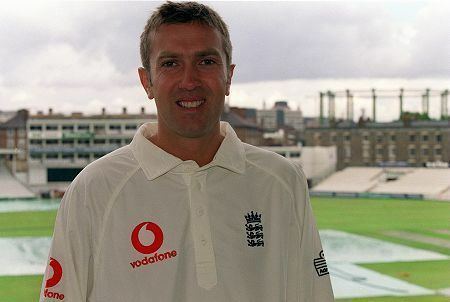 Ian David Kenneth Salisbury (born 21 January 1970) is an English former cricketer, one of the few leg-spinners to play Test cricket for England in recent years. Salisbury played in fifteen Tests and four One Day Internationals between 1992 and 2000. He played first-class cricket for Sussex, Surrey and Warwickshire in a career stretching from 1989 to 2008. The cricket writer, Colin Bateman, commented, "the selection of Ian Salisbury against Pakistan in 1992 made cricket romantics rejoice. When he played at Lords he became the first specialist leg-spinner selected for England since Robin Hobbs in 1971". The reality was that in his subsequent Test career, Salisburys tally of twenty wickets cost almost 77 runs apiece. 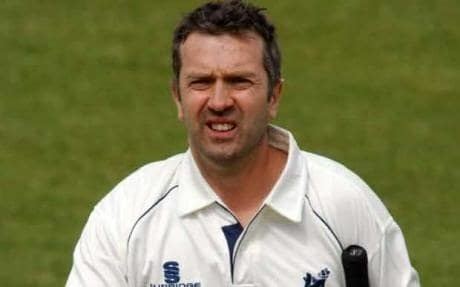 Salisbury was born in Northampton, England, and made his first-class debut for Sussex in 1989, taking the wicket of Ian Austin in both innings. The following year he claimed 42 wickets, albeit at a somewhat expensive average of 49.40, but his potential was recognised with a spot on the England A tour to Pakistan and Sri Lanka, and the following winter (again with England A) he toured West Indies with some success, taking 14 wickets at 27.42. 1992 was Salisburys breakthrough year, seeing him pick up 87 first-class wickets at under 29 apiece, including six five-wicket hauls. He was rewarded both with being named one of the Wisden Cricketers of the Year in the next years Almanack, and with his Test match debut. His first appearance for England was in June 1992, against Pakistan at Lords, and he did not rise to the occasion well enough, though in the third Test he made an important half-century in the first-innings. He was then dropped for the rest of the summer. This was to become a familiar pattern, as England regularly turned to Salisbury now that leg-spin was being made fashionable again by the emergence of Shane Warne, and just as regularly discarded him after a couple of matches; never in his fifteen Test career did he play more than three games in a row. He was not good enough to prosper at the highest level, with a career Test bowling average of 76.95, and he has been rated as the worst specialist bowler in Test cricket. He played his last Test in 2000/01 in Karachi, with a series aggregate of 1–193. In March 2009, at the age of 39, Salisbury announced his retirement from first class cricket. Salisbury initially accepted a two-year extension to his playing contract with Warwickshire, but instead decided to end his playing career, and take up a role as a coach with his former county, Surrey. He replaced the South Africa-bound Nadeem Shahid as the second team coach, being promoted to first team coach for the 2012 season.